Those of us who have been watching events in Nevada shouted a victory cry at the News that a Cowboy showdown had resulted in the release of the Cattle and the exit of the BLM Bullies. Yet is the celebration too early? What will become of the brave people who heeded the call to arms once they have each returned to their homes…. and the Dust has settled? Two things worked in favour of the People and against the tyrannical powers. The Independent media and social networking/ blogging etc, and the amount of Public looking on from the busy highway which passed directly through where this showdown took place. Even though the Tyrants instituted a ‘no fly zone’ to try and control what information went out to the world… there was still too many Observers for the truth to be covered up and explained away. Yet they could roll back in like Tumbleweeds any time…. 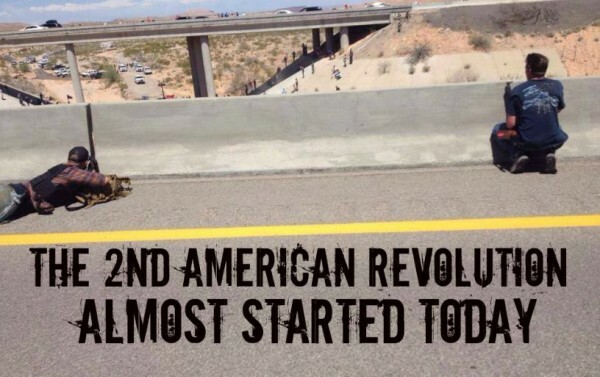 and ‘take out’ the Bundys…. like they did Bin Laden…. so quickly that there will not be time for the militia to Re-deploy. And will these Militia even exist? They are now targets for annihilation… enemies of the State. Why was there no mention of these events in the world media??? Obviously the US government is orchestrating a Media blackout. A more detailed report will follow on Sunday, 13 April 2014, with additional and much more specific information about their inside plans and future operations. And earlier Blog report…. Shitstorm in Nevada! The Crisis Revisited. DC Clothesline. Previous PostHamilton Homeless Meet and Greet… The Lords feet and hands working in the trenches.Next PostHell’s Bells! Drugs and Alcohol are being consumed in an Adult manner by the employed masses!